Director Julia Pierson ordered enhanced officer patrols and surveillance along the North Fence of the compound just after the incident on Friday evening. 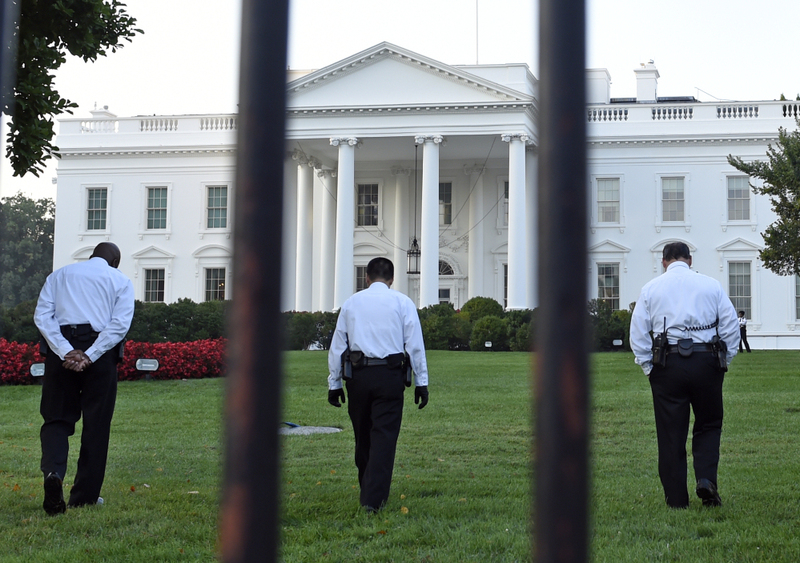 WASHINGTON – The Secret Service chief has stepped-up security outside the White House after a man with a knife who jumped the fence made it into the presidential residence before being apprehended, officials said Saturday. President Barack Obama insisted he still has confidence in the beleaguered agency’s ability to protect him and his family. Secret Service Director Julia Pierson ordered enhanced officer patrols and surveillance along the North Fence of the compound just after the incident on Friday evening, which triggered a rare evacuation of the White House as well as renewed scrutiny of the Secret Service. The agency said Pierson had also ordered a comprehensive review of what happened. The presidential vote of confidence came as the storied agency sought to dispel growing concerns about security at the White House, one of the most heavily protected buildings in the world. Another man was arrested Saturday outside the White House in an unrelated event. President Barack Obama and his daughters had just left the White House by helicopter on Friday evening when the Secret Service says 42-year-old Omar J. Gonzalez scaled the fence, darting across the lawn and through the unlocked North Portico doors before officers finally tackled him. The Secret Service’s Office of Professional Responsibility was carrying out the review, which started Friday with interviews and a physical site assessment and will include a review of all of the security and operational policies, officials said. Officials had originally said that Gonzalez appeared unarmed as he sprinted across the lawn – potentially one reason agents didn’t shoot him or release their service dogs to detain him. But a law enforcement official said Gonzalez had a small folding knife with him at the time of the arrest, and faces a weapons charge. The official wasn’t authorized to discuss an ongoing investigation publicly and demanded anonymity. Less than 24 hours after Gonzalez’ arrest, a second man was apprehended after he drove up to a White House gate and refused to leave, the Secret Service said, prompting bomb technicians in full gear to search the vehicle as agents shut down nearby streets. There were no indications the two events were connected. Yet the pair of incidents in short succession only intensified the scrutiny of the Secret Service, which is still struggling to rehabilitate its image following a series of allegations of misconduct by agents in recent years, including agents on Obama’s detail. “Was the door open?” he added incredulously. Gonzalez, of Copperas Cove, Texas, was transported to a nearby hospital after his arrest for evaluation. He faces unlawful entry and other charges. On a quiet cul-de-sac about an hour’s drive from Waco, Texas, where Gonzalez was last believed to have lived according to records, former neighbors said he moved out roughly two years ago. Sgt. 1st Class David Haslach, who lives two doors down from Gonzalez’s former home, said Gonzalez had been in the U.S. military and told Haslach he had received a medical discharge. He and another former neighbor, Elke Warner, both recalled him seeming paranoid in the months before he left town. Attempts to reach Gonzalez or his relatives by phone were unsuccessful. The Secret Service has struggled in recent years to strike the appropriate balance between ensuring the first family’s security and preserving the public’s access to the White House grounds. 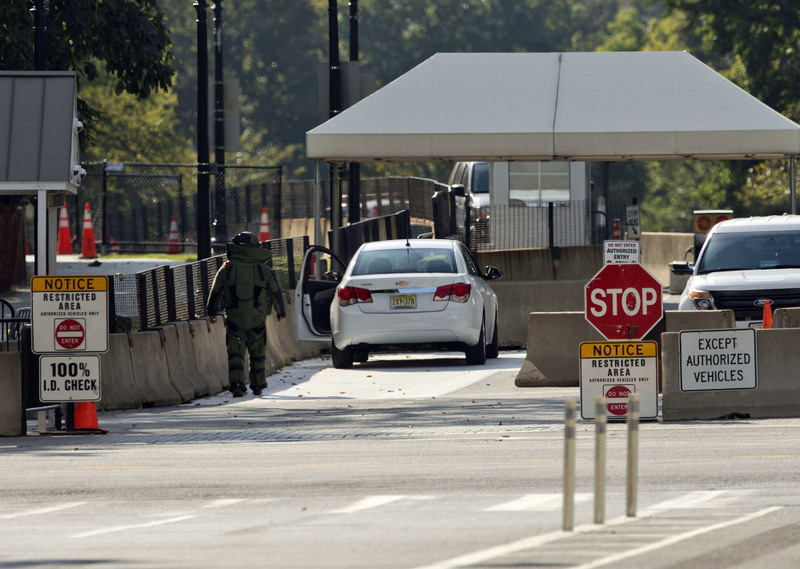 Once open to vehicles, the stretch of Pennsylvania Avenue in front of the White House was confined to pedestrians after the 1995 bombing of the federal building in Oklahoma City, but officials have been reluctant to restrict access to the area further. Pablo Martinez Monsivais in Washington and Terry Wallace in Copperas Cove, Texas contributed to this report.